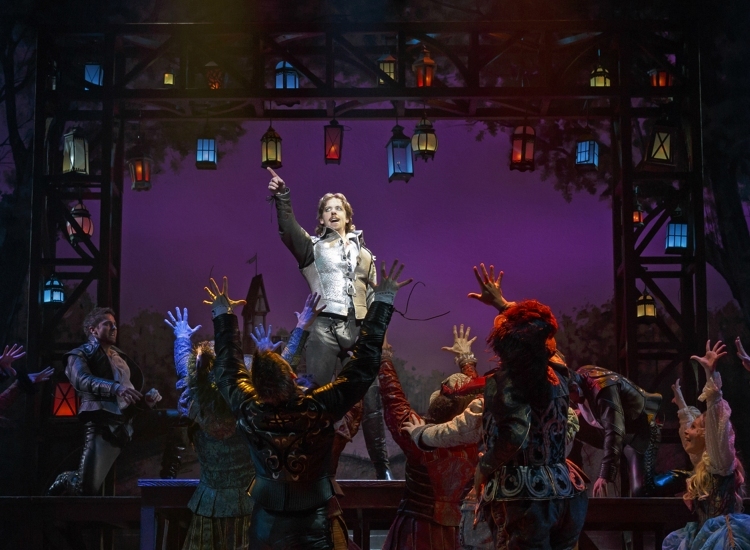 Jam-packed with all the ingredients of a surefire smash hit, Something Rotten is funny without being unnecessarily smutty, and clever without being particularly original. 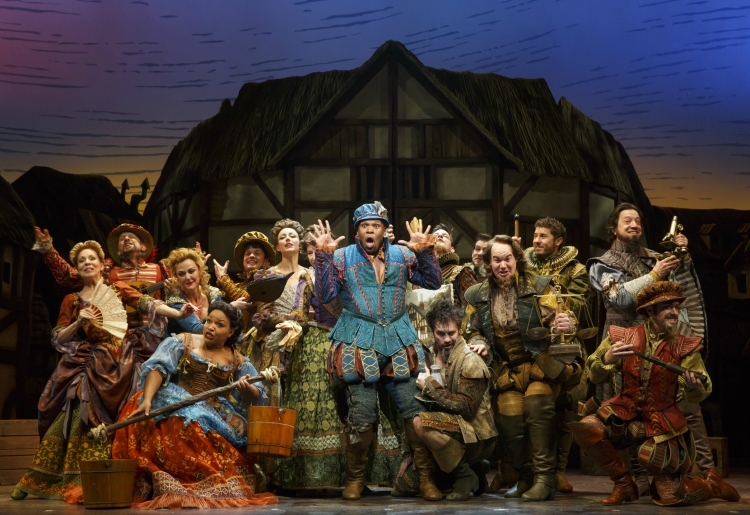 The love child of Spamalot and The Book of Mormon, the fact that the show’s writers are relative newcomers gives it a fresh enough voice, it just does not have anything unique to say with that voice. There are, however, an abundance of hilarious moments. 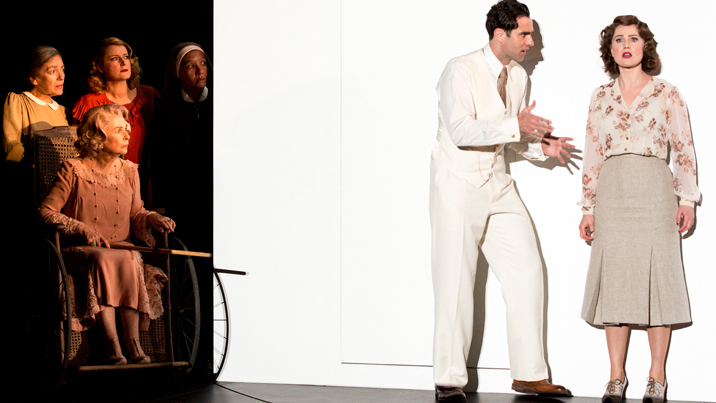 All manner of music theatre references are woven into the book and songs; the more savvy the audience member, the more they will get out of the rapid-fire references. Brothers Wayne and Karey Kirkpatrick have written the songs, with British comic author joining Karey to write the book. The songs are instantly hummable, and repeat listenings will sure reap rewards with the brisker lyrics. “A Musical” is the highpoint of act one, when (the nephew of) Nostradamus tells the desperate Bottom brothers about the future attraction of musical theatre. It is hard to imagine this number not being the Tony Award telecast selection, as the cast sings and tap dances through a pastiche of famous musicals from A Chorus Line to Annie. Like The Book of Mormon, part of the comic effect comes from the musical style not matching the singers, as the renaissance folk here sing catchy lite-rock song after song. Also, there is the humour of conservative types reacting with shock to progress, with Puritans replacing Mormon elders here. The Puritans break out in fabulous act two number “We See The Light,” featuring clever fast costume changes. As potentially closeted Brother Jeremiah, Brooks Ashmanskas has many a tasty line, all delivered with gleeful relish. Director/choreographer Casey Nicholaw (of Aladdin, The Book of Mormon and The Drowsy Chaperone fame) keeps the energy and the laugh rate high, colouring the central storyline with all manner of witty details from the supporting players. Nicholaw has cast top Broadway comic leading men Brian d’Arcy James (Nick Bottom) and Christian Borle (William Shakespeare). While this is an attraction, there is also the sense that they are almost too good, leading to a slight sense of smugness about the whole procedure. The raw, edgy fire is not there in this self-satisfied production. 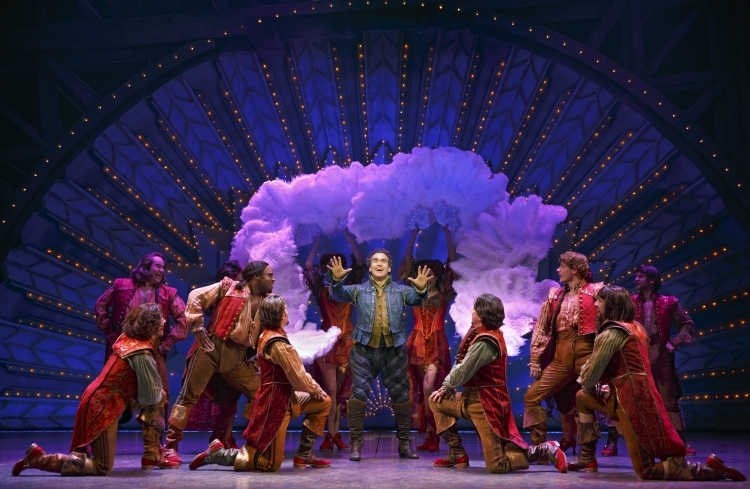 There is, however, nothing rotten about Something Rotten’s production values. The 19-member band sounds terrific. 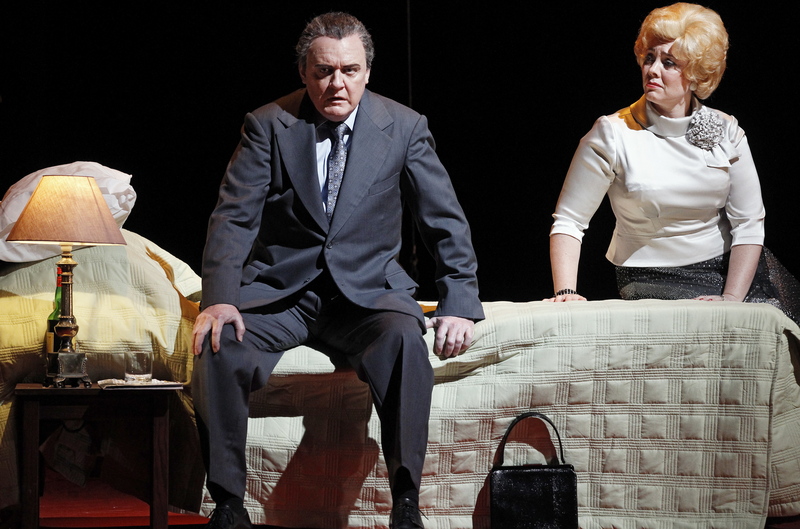 Scott Pask’s scenic design is endlessly lavish. 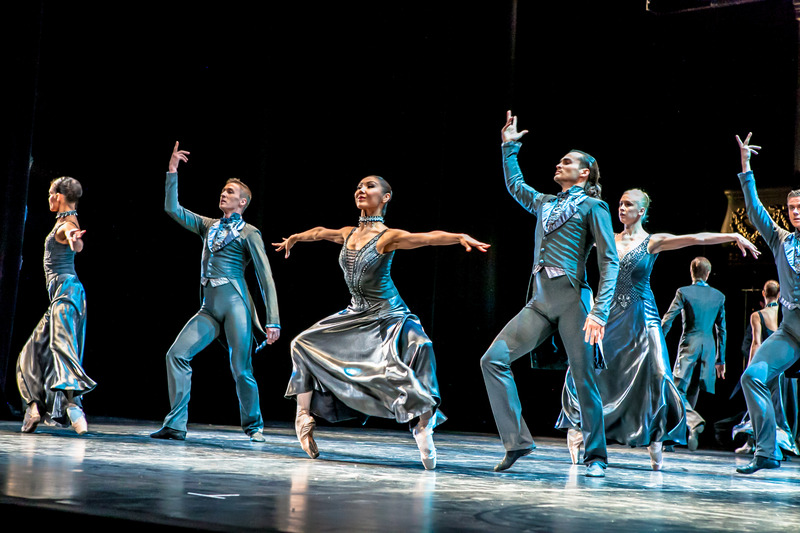 Gregg Barnes’ costumes are as extravagant as they are detailed. John Cariani is a delight as nervous Nigel Bottom. Peter Bartlett rings out his distinctive plummy tone as wealthy Lord Clapham. Heidi Blickenstaff is a magnetic presence in the little she is given to do as Nick Bottom’s wife, Bea. It is hard to imagine anyone but Gerry Vichi as Shylock, the enthusiastic Jewish money merchant who yearns to invest in musicals. 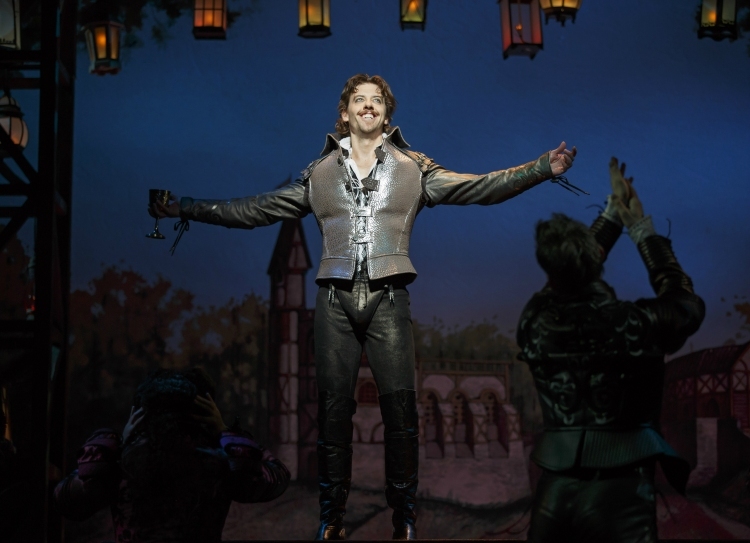 Something Rotten is diverting, highly amusing entertainment. Musical fans looking to continue the fun times of The Book of Mormon, Spamalot and are other such comedies will find plenty to enjoy. 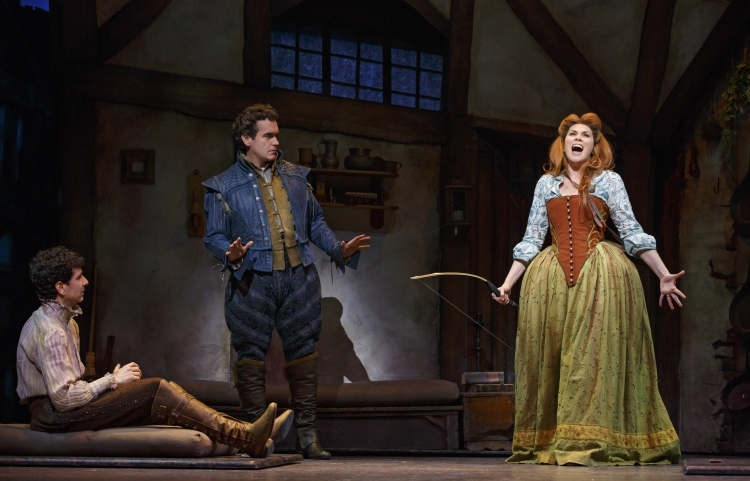 Something Rotten was reviewed 2pm Saturday 4 April 2015 at St James Theatre, New York. I originally was thinking you might like Fun Home, a fairly serious musical along the lines of last season’s Violet – even by the same composer. Unfortunately, I did not end up enjoying Fun Home so I can’t recommend it. Of all the ones I have seen this trip, I think you would most enjoy Finding Neverland. Apart from anything, the whole Harvey Weinstein/movie background aspect will most likely add interest. Anyway, if you ending up seeing any of these new shows make sure you do a review. I look forward to comparing notes!